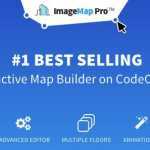 Mapplic lets you create maps of anything! Yes, you read it right. 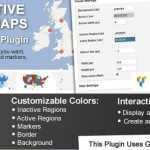 It is the best custom map plugin for WordPress. To use it, all you need to do is turn vector graphics and simple images to responsive, high-quality and interactive maps. It provides you with the ultimate versatile solution. You will get lifetime updates for the plugin. The author provides support response within two business days.